Title: 12/22/1992 - Updated material safety data sheets. This is in response to your inquiry of October 28, concerning the Occupational Safety and Health Administration's (OSHA) Hazard Communication Standard, 29 CFR 1910.1200. 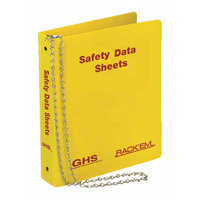 You requested that OSHA send you updated material safety data sheets (MSDSs) for the products listed in your letter. The Hazard Communication Standard (HCS) requires manufacturers, importers and distributors to send MSDSs with initial shipments to all downstream users, for any item that would expose employees to hazardous chemicals. OSHA does not provide MSDSs to employers. We suggest that you contact the manufacturer or distributor of the products listed in your letter to request updated MSDSs.